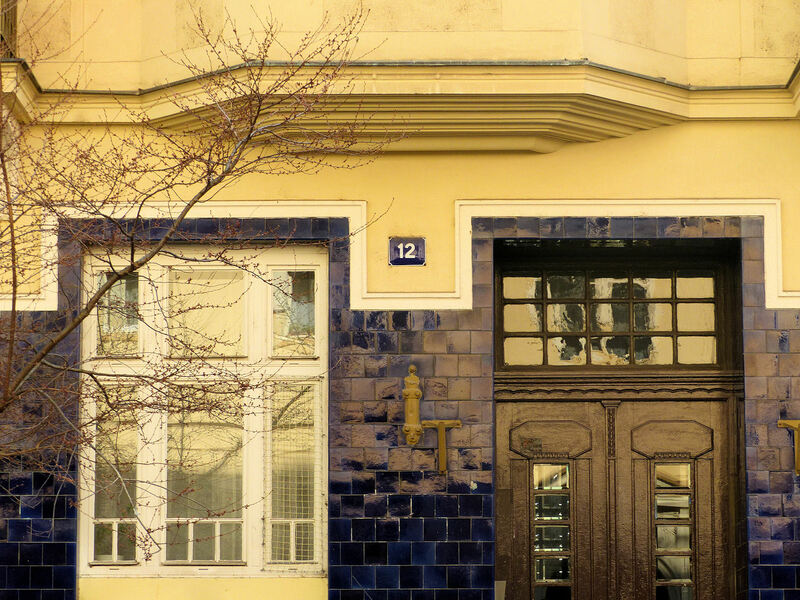 These fine art nouveau apartments on the border of the Vinohrady and Žižkov districts date from 1910; they were built by Antonín Polívka to a design by the architect Josef Pospíšil. Seven years earlier, Pospíšil had made his name by redeveloping three facades in Náměstí Míru (Peace Square) in heavy neo-baroque style. 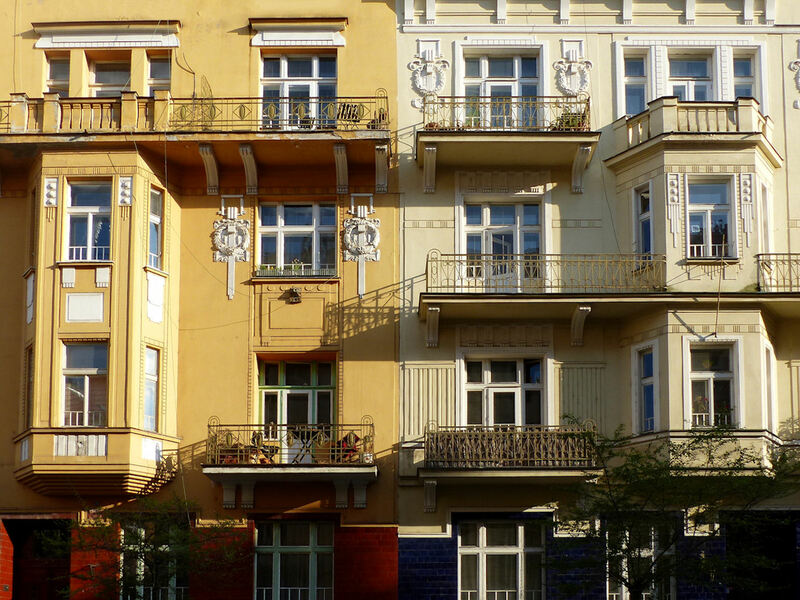 But even though the exaggerated plasticity and ornamentation of revival architecture remained prevalent in Prague right up to the war, Pospíšil quickly rejected it in favour of an altogether lighter approach. 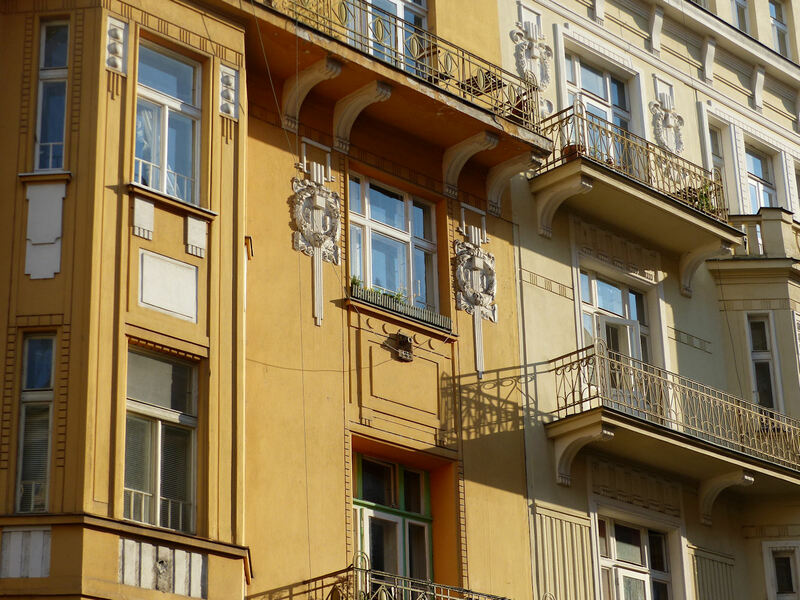 In fact, this combination of delicate wrought-iron balconies and brightly-coloured ceramic tiling is typical of a period during which Czech architects in general were moving away from commemorating the past and searching instead for a way to celebrate national pride, home-grown industry and new technologies. Art nouveau provided that direction. Until his death in 1918, Pospíšil lived mainly in Sarajevo, where his style became ever more crisp and geometric, echoing the move towards cubism and modernism that was already advancing in Prague.